This Pencil Holds a Thrill. 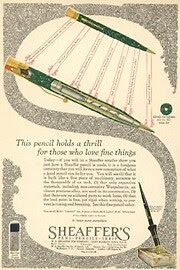 . .
Sheaffer's 1925 ad for their large flat-top pencil enthused: "This pencil holds a thrill for those who love fine things." True today, too. 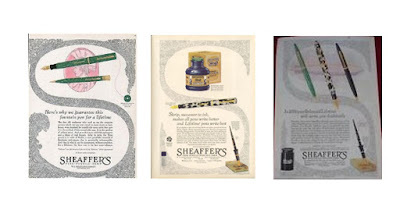 The Sheaffer "Titan" pencil was introduced in 1925. The jade green colored marble was introduced the year before, along with Jet black, and the Sheaffer desk set. This was the year Sheaffer switched from hard rubber to Du Pont "Radite." below the apostrophe. The black and pearl marble coloring must have followed very shortly on the heels of the jade green color. Sheaffer "lifetime" flat-top pens were also very handsome. 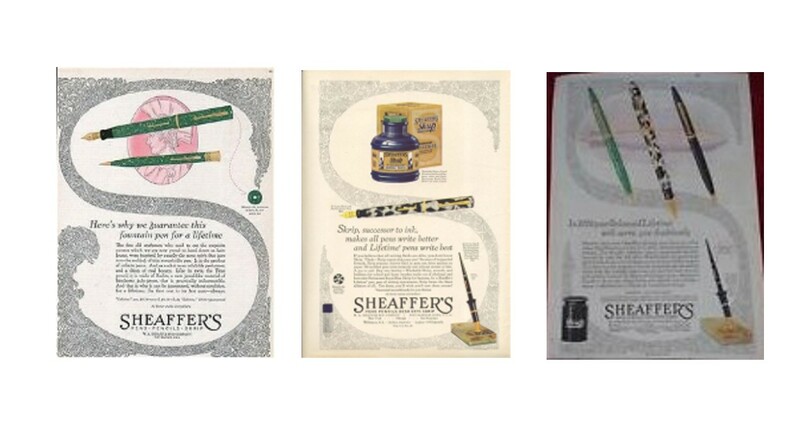 At this time, Sheaffer did not make matching pen and pencil sets, but similar colors were available. The white dot, indicating the lifetime guarantee, was set into the top of the pen cap. Titan pencils are 5 & 1/4 inches with a rear-drive mechanism, 1.1 mm lead, and ball-end clip. They have gold-filled trim. On the top, the mark (in all caps) reads: Sheaffer's, Lifetime, Gold Filled, Pat- Pat Pending. They continued to be made until the "Balance" design came along in 1929. Above, you can see the two slightly different clips. The jade pencil is the earlier. The jade pencil 's clip has slightly different lettering, and the cap is a fraction shorter than the black and pearl pencil's cap. To this longer cap, they added the words "Made in the USA." 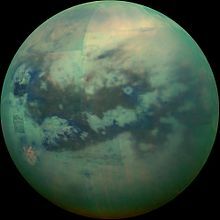 Titans were six formidable Greek gods, most likely the namesakes of this pencil, but it is also the name of Jupiter's largest moon, the one that looks to be made of marble. So many pin-on fobs were made by Ketcham & McDougall of East Orange, New Jersey, that I was surprised to find this one marked "The Beckhard Line, FLIP, 200 Fifth Ave, New York, 10." Unlike the K & McD fobs, it has a double-pronged pin with a simpler hinge. Like many Ketchem & McDougall products, a simple, unmarked nose-drive pencil is attached to the chain. This green marble one has a ring top similar to the Carter "Pearltex" pencils, with a small band of black between the marble and the gold-tone top with ring. The top of the pencil screws off so an eraser can be enclosed inside, with room for extra leads, too. All the nose-drive mechanism is contained in the lower half. The Beckhard Line was a shop dealing in stationary goods, for which they were the distributor rather than the manufacturer. Some of their goods were imported from Germany, Czechoslovakia, and other places. 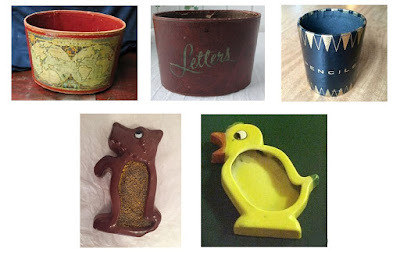 All their items appear to have been desk and letter related such as these letter boxes, pencil cup, and whimsical ceramic sponge holders used to moisten stamps or envelope flaps. 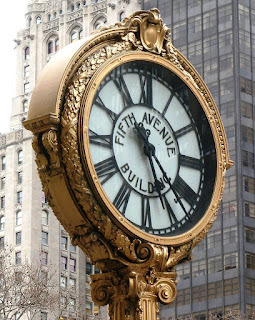 200 Fifth Avenue in New York's Flatiron District was the home of the International Toy Center, which had begun as a toy market when the first World War made the importation of toys from Germany impossible. The clock outside is a landmark from an earlier era. The postal code "10" dates this fob to after 1943, when the US Postal Service began the 2-digit code. The pencil seems older, as it has the 1.1 mm lead from before 1938, but the supplier of this pencil in the WWII era may have been using up old stock. Celluloid was not easy to obtain during the war. Or this was a pencil already owned by the person who purchased the fob. It measures 4 inches. It's nice to know another maker of pin-on fobs. I flipped over this one, did you?